This week marked the 29th anniversary of the invention of the World Wide Web by Sir Tim Berners-Lee. The “inventor” of the Internet has taken advantage of the anniversary to take stock and look to the future. He warns of the risks of a network that managed to connect the whole world. “This year marks a milestone in the web’s history: for the first time, we will cross the tipping point when more than half of the world’s population will be online”, Tim Berners-Lee says in an article published in the Web Foundation, which exists to monitor and watch the evolution of the Internet. However, Berners-Lee is cautious and, in some ways, clearly pessimistic: “The threats to the web today are real and many, from misinformation and questionable political advertising, to the loss of control over our personal data”. His diagnosis is shared by more and more experts. Even the governments are showing their concern about the so-called “fake news", or the interference of political propaganda through social media, mainly. For example, the European Union has denounced Russia for spreading political messages in recent elections in other countries, such as in the elections in Italy. Regarding personal data, the lack of control has comes through social media, with an overexposure that has made the lines of privacy become increasingly diffuse. Berners-Lee's aim is to find possible solutions to these problems, because the government response to these risks is based on state control, and he is a strong activist of the “free internet”. But the expert warns that until now, “the responsibility — and sometimes burden — of making these decisions falls on companies that have been built to maximise profit more than to maximise social good”. According to Berners-Lee, “a legal or regulatory framework that accounts for social objectives may help ease those tensions”. Berners-Lee believes that a more democratized web is needed, both in terms of global access and visibility, since the Internet continues to be a privilege of 50% of the world's population. A commitment to reduce the digital divide is needed, because “if we do not invest seriously in closing this gap, the last billion will not be connected until 2042. That’s an entire generation left behind”. “We must support policies and business models that expand access to the world’s poorest through public access solutions, such as community networks and public WiFi initiatives”, he says. The founder of the web is also concern about the concentration of power. “The web that many connected to years ago is not what new users will find today. What was once a rich selection of blogs and websites has been compressed under the powerful weight of a few dominant platforms. This concentration of power creates a new set of gatekeepers, allowing a handful of platforms to control which ideas and opinions are seen and shared”. According to Berners-Lee, “today’s powerful digital economy calls for strong standards that balance the interests of both companies and online citizens”. “This means thinking about how we align the incentives of the tech sector with those of users and society at large”, he adds. In order to achieve it, it is necessary to fight two myths that “currently limit our collective imagination: the myth that advertising is the only possible business model for online companies, and the myth that it’s too late to change the way platforms operate. 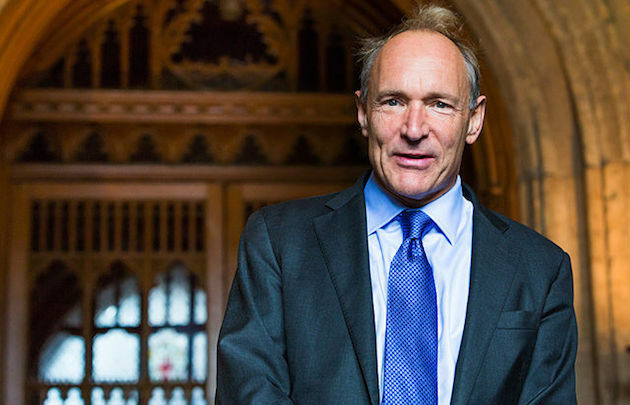 On both points, we need to be a little more creative”, Berners-Lee says. The founder of the Web Foundation points out that “the future of the web isn’t just about those of us who are online today, but also those yet to connect”. [Video] What influence has social media in society?